I am past the pain of not taking a team this summer. For the first time in 25 summers, I do not have my own youth team to coach. I will coach the Niagara College program in the fall, but being a head coach a youth team was not in my plans this year. The last few months I've been feeling a bit lost. This was the time of year when I was at my best, finding training space, planning friendlies, parent meeting, etc. I am still busy with soccer, but with different things. I do miss the group from last year. I've run a session for them already and it was nice to see them again. There were a few reasons for stepping away. I re-read my reflection from October 2012 and still feel the same way. At the end of it all I am happy to have a break from running tryouts for young players and dealing with competitors who mistaken recruiting for coaching. Other teams in our age group have been flipping clubs, changing players like dirty underwear and the usual dog and pony show that accompanies all that, looking for the ultimate prize (whatever that is). I also look forward to a break from youth competition as a head coach. (Note: solid coaches who do some recruiting are not the same as hard recruiters who think they're coaches). I hit a point where I needed to temporarily step away from a system and environment that confused success with winning when it came to younger players. Being the transition year between what we had and the implementation of LTPD in Ontario, I am going to enjoy working with others in getting ready for the new philosophy. My soccer time has been filled with helping other coaches with their teams, helping friends with session plans, team questions, etc I have a group of 8 friends that I've been offering support to, and learning a lot at the same time. New for me is being more involved in formal coaching education. I've also been tooting the LTPD horn and trying to help people understand where things are heading. My other hobby is refining the art of stepping in with a team, running a session that brings some success to the players and leaves the coach with good ideas for future sessions. Until this past weekend, I was still wondering if I had made the right decision. 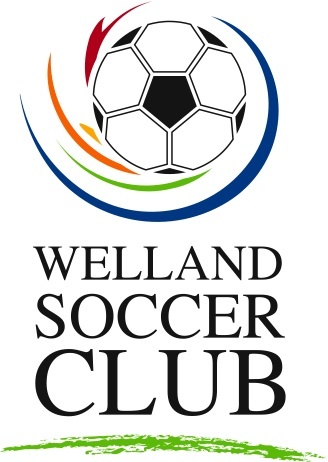 My former team is still going with a new coach and we still have two full teams in Welland at that age group. My youngest son is still playing and they are moving along nicely. I am glad my departure did not leave them stranded as sometimes happens with youth teams. "I needed to temporarily step away from a soccer environment that confused winning with success for young players." But this weekend I ran two sessions as a guest coach (Welland 1999 boys and Pelham 2002 boys). Before and after both sessions I saw the coaches running around dealing with parents and team business. I arrived, set up, delivered the session and left. I will miss the interaction and team business for a year, but for what I wanted to do, this weekend was a good sign to me that I will serve the community better in this capacity. Wondering, half way to Brampton, if I remembered our player books. Today, our 10-week U4 Active Start program ended. For me, it was sad because those kids left me in a great mood all day long. One nice feeling I left with was how many parents mentioned they were considering being Active Start coaches this summer. Some haven't played but feel they can lead the group through sessions similar to what was delivered during the program. "...those kids left me in a great mood all day long." Physical literacy components are important. Do not skip them as kids need exposure to various movements. Be organized before everybody gets there. All coaches should learn and deliver the occasional Active Start session. You have to go back to the smallest building blocks of teaching. Introducing them to training equipment (cones, hurdles, etc) is fun for them and make great learning aids. It also introduces them to a more formal soccer environment. Share what you are doing with the parents, don't lecture. U4 kids are NOT ready for full games. I will file this program under "Great Experience". Thanks kids. This weekend, I had the pleasure of delivering the OSA's "Learn to Train" course to 22 coaches. The course took place at St Francis Xavier Catholic Elementary in Stoney Creek. I have to say it is very enjoyable working with coaches who are just getting moving in their coaching journey. The most learning for me is through the questions they ask. As time passes you start to take little things for granted, but weekends like this bring those important questions and "what if" scenarios back to the forefront. I also enjoy listening to people who bring experiences from outside soccer that apply directly to the course. There is one thing that was disappointing. Of 22 coaches, only two were female. I still keep up my hope that the number of qualified female coaches will show an increase and the number of female coaches matches the representation of females in the player population. "...you start to take little things for granted, but weekends like this bring those important questions and "what if" scenarios back to the forefront." During the course, I thought LTPD would generate more discussion but it didn't. A few questions then we moved on. Maybe this is a sign that people know enough about LTPD and are ready to get to work with their players. I look forward to delivering another course. It's tiring, but I like being in this environment. Information on OSA coaching courses can be found at soccer.on.ca under "Coach"